Tourists, particularly those traveling internationally, are often advised to keep their money and important documents in a place other than a pocket or purse because they are easily stolen there. But that leaves you with the question: where the heck should they go, then? 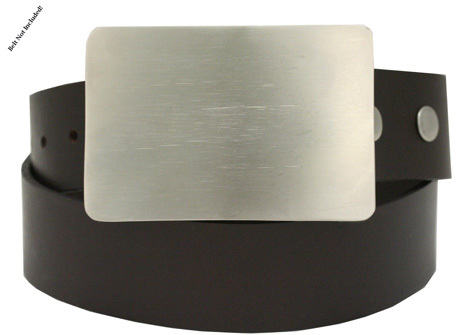 The Smart Belt Buckle offers up a stylish and simple solution: stash them in your belt buckle. 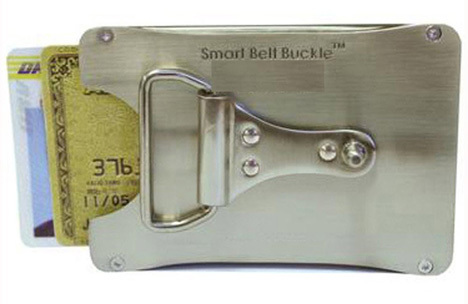 The Smart Belt Buckle isn’t “smart” in the technological sense – it can’t calculate how much cash you have or store your credit card numbers for you. But it’s smart in the sense that it seems to be the perfect solution for people who really don’t want to carry around wallets or purses. The buckle comes in three finishes and can be engraved with your initials or, hopefully, a really hilarious dirty word of your choosing. 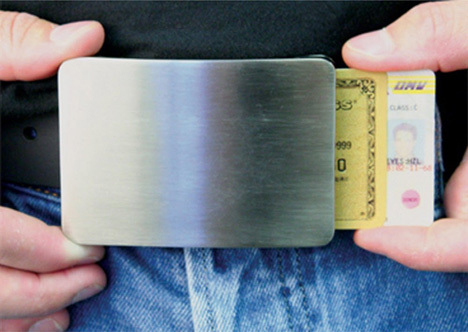 Reviews of the item say it’s quite big for a belt buckle, but since it has to be big enough to conceal credit cards and ID cards the size seems rather reasonable. So does the price: around $40, plus shipping (and the cost of your own belt since one isn’t included).